Click here for Spanish version of this page. The Dominican Republic Sports and Education Academy (DRSEA), a registered 501(c)(3) non-profit, is in the design stages. 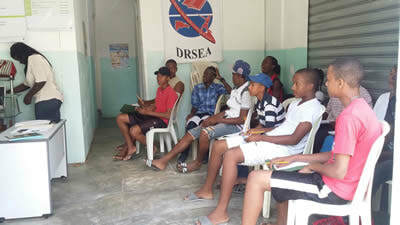 The DRSEA is planning a sports and education academy in the Dominican Republic aimed at giving talented baseball players the option of attending U.S. colleges and universities on athletic scholarships. The academy is being patterned after one in Puerto Rico that has had a high success rate of placing baseball players there on U.S. college teams. ​Land for the academy has been identified in the Dominican Republic, not far from the capital of Santo Domingo. If all goes well, the academy could open its doors as early as September 2010, said Charles S. Farrell, founder, principal and senior consultant for Sports Perspectives International, a sports advocacy, marketing and consulting firm. The ultimate goal of the DR Sports and Education Academy is to level the playing field in terms of full minority participation in the $450 billion a year global sports industry; amateur, professional, and on the educational level. Unfortunately, most rarely obtain even a high school degree, Farrell said. Players in the Dominican Republic can sign professional contracts at 16 ½, so education is usually bypassed in pursuit of the dream of success in baseball. The academy will be able to take gifted baseball players and prepare them academically for the college classroom. The academic program will exceed the minimum requirements for college eligibility now required by the NCAA. “We not only want them to succeed in college, we want them to excel,” Farrell said. The Academy will be geared towards three diverse groups: 14-16 yr. olds, 16-18 yr. olds and Special Performance Camp (SPC) attendees. The main focus at DRSEA will be student athletes ranging from 14-16 years old. This group will be selected through a rigorous testing of both academic and athletic specific abilities. The goal for this age group will be to prepare them both academically and athletically for the pursuit of higher education at either the Academy or another equally qualified Prep School in the United States. While most of the student athletes in this age group will clearly have an option of signing with one of the MLB Academies in the DR when they turn 16 1/2, it would be our goal to prepare these student-athletes to explore their full range of options including continuing at DRSEA through the 16-18 yr. old program or attending a US Prep-School to become well rounded individuals. Continuation of the 14-16 year old program based on eligibility, goals, and additional factors.